The Huh? : It's the Legend of Zelda: NOT The Legend of Link. MAKE ZELDA PLAYABLE. It's the Legend of Zelda: NOT The Legend of Link. MAKE ZELDA PLAYABLE. For years I've loved the Legend of Zelda series and I saw this posted over on The Mary Sue, and went looking for some of the stuff I wrote on the subject. After a bit of hunting I found a few blog drafts, including one from 08/12/2009 that I didn't actually post (what follows is an edited version of the 2009 draft post), and a couple of tweets (Sept. 26, 2011 on below). Nintendo needs some serious reinvigorating of their IPs. I have a post on their biggest issue in draft form that should be finished by next week, but I want to clarify and clean it up a bit more. They can start with this one individual- Zelda. The Legend of Zelda is already an immensely wonderful series, but really, if Nintendo wants to make something worthwhile- make a NEW game with Zelda herself in the lead. Female gamers comprise, what, 45% of gamers (Not positive on this estimate? )- and with all the talk of having more female protagonists- why hasn't Nintendo jumped on this chance. As much as I love Link, she needs to take center stage in the the series that bears HER name. This is the perfect time for an actual ZELDA game. Over the years I've talked to numerous friends and fans of the series and this is something pretty much every one of us is clamoring for. Hyrule needs a new hero(ine)﻿. Think of the ramifications- this is a chance to show how capable she is. We've seen how she handles herself in the guises of Sheik and Tetra, and we want more. Typically we get slightly new and changed versions of these beloved characters, so something original would be expected. But we are familiar enough with the characters that this is completely within the realm of possibility. A reinvigorated mythos can be brought to Hyrule. This should NOT be a gender swap. It should be a completely different feel. A DISTINCTLY different feel. Show us that Zelda is stealthy and a worthy fighter in her own right, with her OWN styles of play. We want Zelda, not Link in Zelda's skin. She has to be the leader she was born to be. A Princess that leads. Capable and badass in her own right. Nintendo, it's time to take action, it's time to get this done. You have a huge chance to set an example for the future with a Zelda centric game. 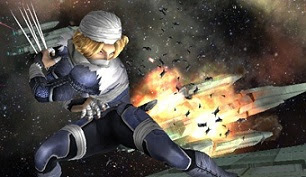 Samus Aran cannot remain the only active female in the Nintendo arsenal. You can make something fans will love and support, or you can ignore us at your own loss. UPDATE: This morning Mr Jim Sterling posted this over at Destructoid. I also joined the Facebook group "Nintendo, Please Give Princess Zelda a Stronger Role." to make your point. You clearly know what youre talking about, why throw away your intelligence on just posting videos to your site when you could be giving us something enlightening to read? Thank you, I am trying to produce more, but work and school kind of bog me down. PS: I used to play like a billion hours of Theme Hospital a month. NBC's Heroes to Return... to Comics. X-Force Movie: Confirmation by Rob Liefeld?